I passed this random NYC street scene a couple of weeks ago. I have no idea of who that was, but I snapped a picture anyway. 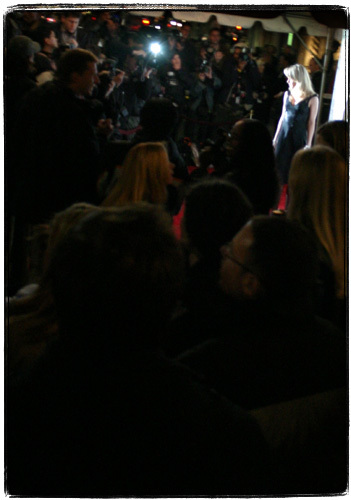 old_fat_punk informed me that the celebrity in question is actress Tara Reid at a red carpet photo-op during P. Diddy’s party. Apparently minutes after I snapped that photo she suffered a wardrobe malfunction resulting in a hilarious mammarian escape.